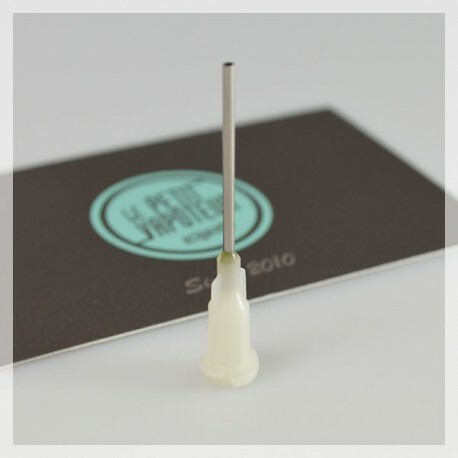 Special DIY Needle. Very useful for the preparation of your DIY E-liquids. The Special DIY is perfectly adapted for all Syringes and Vials. SPECIAL WHITE DIY NEEDLE 0.048"
Special DIY Needle. It is perfectly adapted for all syringes and vials. Conforme à ce que j’ai vu sur le site, je recommande.